Ace Combat Infinity Trailer - Engage the Fight! Bandai Namco's excellent aerial combat series, Ace Combat, is making the jump to free-to-play on May 28. I had a few rounds with the beta test a while back and had a blast; but, there was something missing from the experience. Something which usually sets Ace Combat apart from the rest of games in its genre. The Ace Combat series is well known for going above and beyond with its plot and characters than most other games in the genre. Modern warfare games and stories have been the rage since Call of Duty 4, but Bandai Namco has been doing the same thing since the days of the PlayStation a lot more effectively. Luckily, the full release of Ace Combat Infinity will see a true blooded emotional plot similar to what previous games have offered. A brief trailer from Bandai Namco shows that this is more than just an action game on wings. Should it fall in line with the series' legacy, Ace Combat Infinity will divulge in the tales from the ground too as these hired pilots shape the future of humanity one battle at a time. I just hope I don't have to pay for that story, or I'm going to have to give it a pass. It would be a shame too, because I've always loved the series, but I can't find it in me to support the idea of a "pay wall," even for Ace Combat's sake. 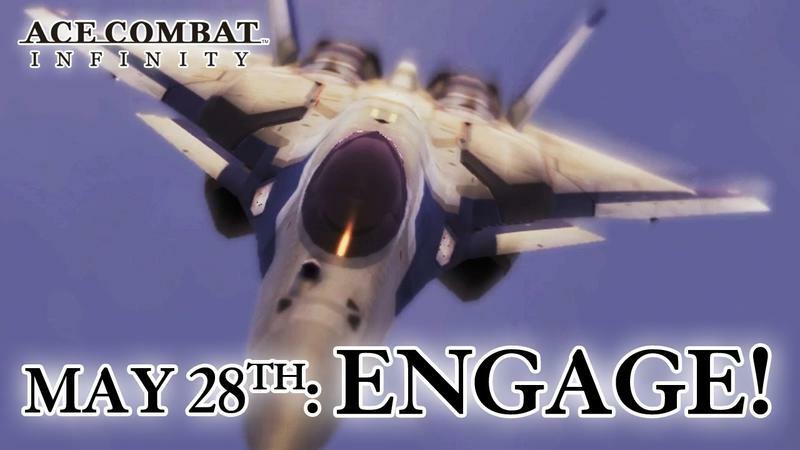 Ace Combat Infinity will be released for the PlayStation 3 on May 28.